Tourist Tent On Grassy Hill On Distant Misty Blue Mountains And Clear Pink Sky Before Sunrise Or Sunset Background. Summer Camping In Mountains At Dawn. Tourism, Hiking And Beauty Of Nature Concept. Banco De Imagens Royalty Free, Ilustrações, Imagens E Banco De Imagens.. Image 115674307. 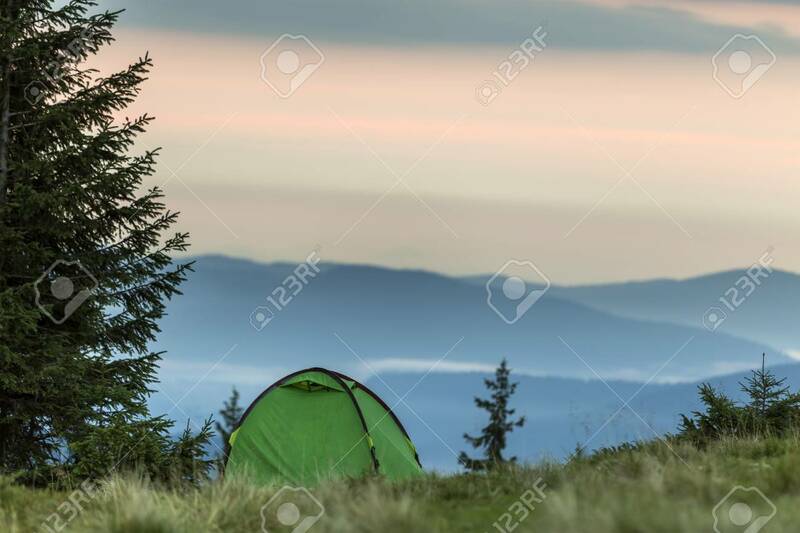 Imagens - Tourist tent on grassy hill on distant misty blue mountains and clear pink sky before sunrise or sunset background. Summer camping in mountains at dawn. Tourism, hiking and beauty of nature concept. Tourist tent on grassy hill on distant misty blue mountains and clear pink sky before sunrise or sunset background. Summer camping in mountains at dawn. Tourism, hiking and beauty of nature concept.